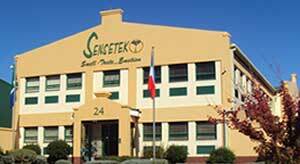 to the new online home of Sensetek. Please take a moment to browse our pages and indulge in The Magic world of Fragrance and Flavours! Good smells make you happier. Smelling a fragrance you perceive as pleasant has a profoundly positive effect on your mood. So if you love vanilla, keeping a little scented oil on your desk can help lift you when you're down. Smell is a potent wizard that transports you across thousands of miles and all the years you have lived. Copyright © 2012 Sensetek cc. All Rights Reserved.